The air is cooled. The air is then pulled into the furnace by a variable speed furnace fan, and forced through the evaporator coil. An evaporator coil is a series of piping containing chilled refrigerant from the air conditioner (at a low pressure). The cold piping absorbs heat and causes moisture to condense, thus cooling and dehumidifying the air. This conditioned air is pushed on by the fan while the heated refrigerant is sent back outside to the air conditioner (condensing unit). The refrigerant is pressurized in the condensing unit which removes the heat. Then the cycle repeats. Mold is killed & coil efficiency kept high. In the damp interior of an evaporator coil system, mold can grow which can affect not only the health of your family (mold spores in the air), but the health of your HVAC system by decreasing the efficiency of the evaporator coil. In the HVAC design example above, a UV lamp is mounted within the evaporator coil to prevent this. UV lamps are able to kill and prevent mold from growing, thus keeping your home healthy and your cooling efficiency high. Cooled air sent back into the home. After leaving the evaporator coil, the cool, dehumidified air is pushed back into the home. In extremely humid climates, a separate dehumidifier can be installed to remove more humidity from the air than is removed by the evaporator coil. Air is exchanged. At the top left of the above HVAC design sits a ventilator. Ventilators are quite amazing. They are part of complete indoor air quality solutions as they exchange fresh outdoor air for stale indoor air. They are able to do this with minimal loss of energy, and they retain the cooled and dehumidifed air your HVAC system worked hard to produce! The Air is filtered. As with air conditioning, the air is filtered before entering the furnace. The air is heated. The gas (or oil fired) furnace heats the air by igniting (from the pilot) flames and heating a metal unit called the heat exchanger. This heat exchanger then heats the air as it is forced through the system (via the same fan used to bring air through the evaporator coil when cooling in the summer). 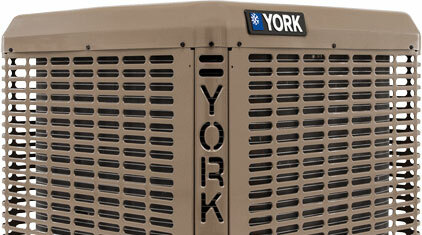 Note: as mentioned earlier, a variable speed fan in a furnace produces higher efficiency for both heating and cooling. Is able to move at different speeds to efficiently keep air moving through your home even then the furnace is not running. This improves home comfort and humidity levels when indoor air quality products are in place like air cleaners, humidifiers, UV lamps and ventilators. The air is humidified. Since air is normally dry in the winter, and heating will zap more moisture, a whole home humidifier can be mounted after the furnace to properly humidify the indoor air. This helps the air feel warmer which means you can keep the temperature lower, resolves the health related irritations of dry air, and protects paintings, woodwork and instruments in your home! Air is exchanged. As in the summer, an energy recovery ventilator can exchange outside air with stale indoor air without losing the energy used to heat and humidify the home. When using a heat pump to heat and cool your home, or when you live in a climate where only air conditioning is needed, an air handler replaces your furnace and evaporator coil. Cooling in the summer. For "air conditioning" with a heat pump and fan coil, everything works the same as with a normal A/C unit, evaporator coil and furnace configuration. The same refrigerant, the same process, etc. Heating in the winter. During the winter, the heat pump reverses the cooling process. Though it may not feel like it, even in cold weather air retains heat. And as long as the refrigerant is colder than the outside air, heat can be extracted. A heat pump absorbs this heat, heats the refrigerant and then sends the heated refrigerant back inside to the fan coil where the coil then heats the air. The balance point is a term used to describe the point where the outside air temp and heat pump capability matches. Below this point supplemental heat is required because the heat pump cannot pull enough heat from the air outside. A hybrid system is designed to offer higher heating efficiency during colder months. Heat pumps, unless geothermal, are all electric and can be less expensive to run when the outside temperature is 40° and above. A gas furnace is typically less expensive to heat with when temperatures drop below 40° (this of course varies based on local gas and utility prices). Cooling with a hybrid system. There is no difference to cooling when a hybrid system is in place. During warm weather the heat pump performs just like an air conditioner by pressurizing and cooling the refrigerant while the evaporator coil and furnace operate like example one. Cooling with a hybrid system. In the winter, the heat pump and gas furnace switch on and off depending on determined fuel prices and temperature. When the air is cold but not bitter cold, the heat pump haply heats your home for less money. When temperatures dive to freezing and below, the furnace takes over. And you pay less on monthly winter utilities!